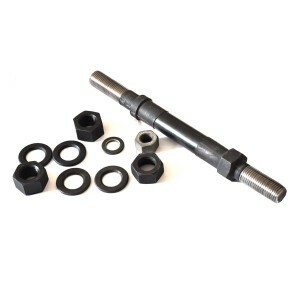 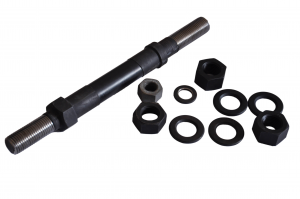 High Srength Rock Bolt/ Anchor Bolt: is an advanced rock bolt which can Ensure anchoring effect for complex ground conditions ranging from sand and gravel to inconsistent fill, boulders, rubble and weather rock. 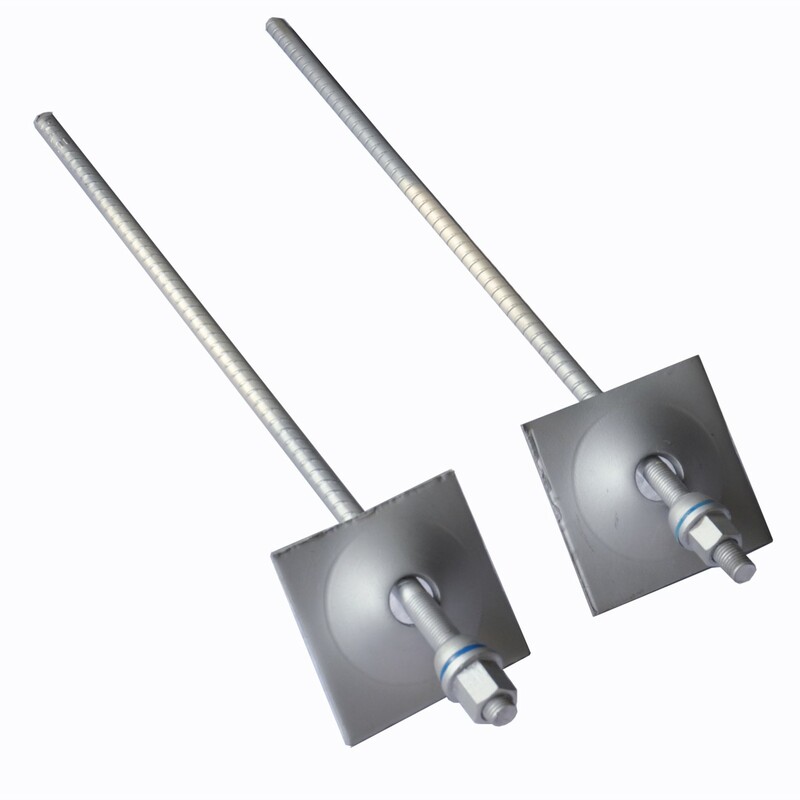 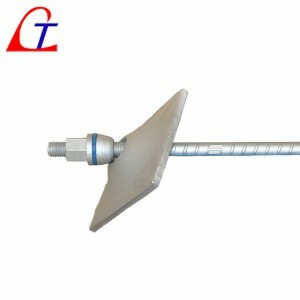 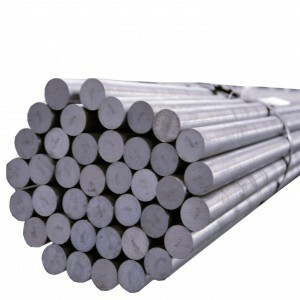 Rock bolt, in tunneling and underground mining, steel rod inserted in a hole drilled into the roof or walls of a rock formation to provide support to the roof or sides of the cavity. Rock bolt reinforcement can be used in any excavation geometry, is simple and quick to apply, and is relatively inexpensive. 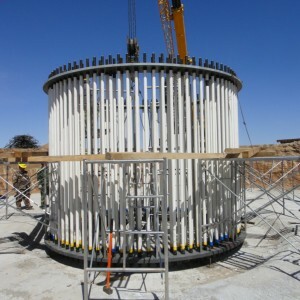 The installation can be fully mechanized. 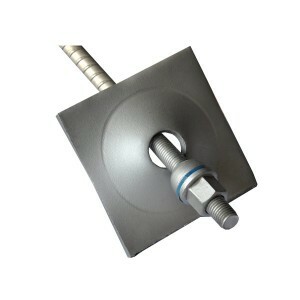 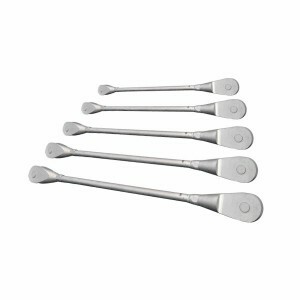 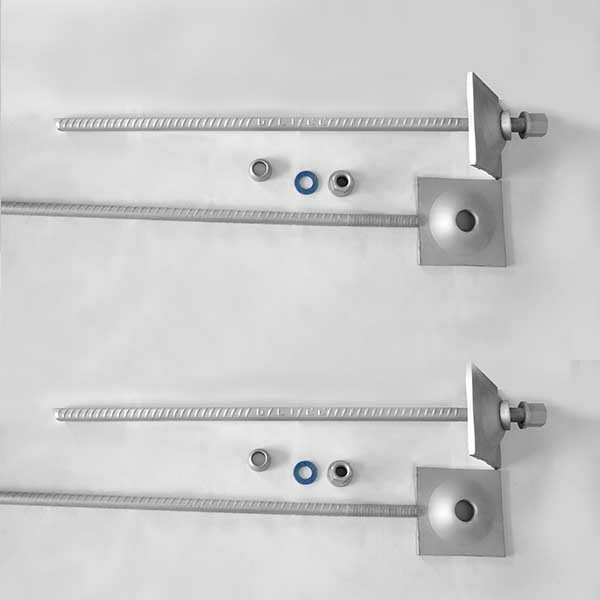 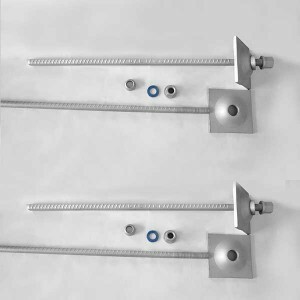 The length of the bolts and their spacing can be varied, depending on the reinforcement requirements. 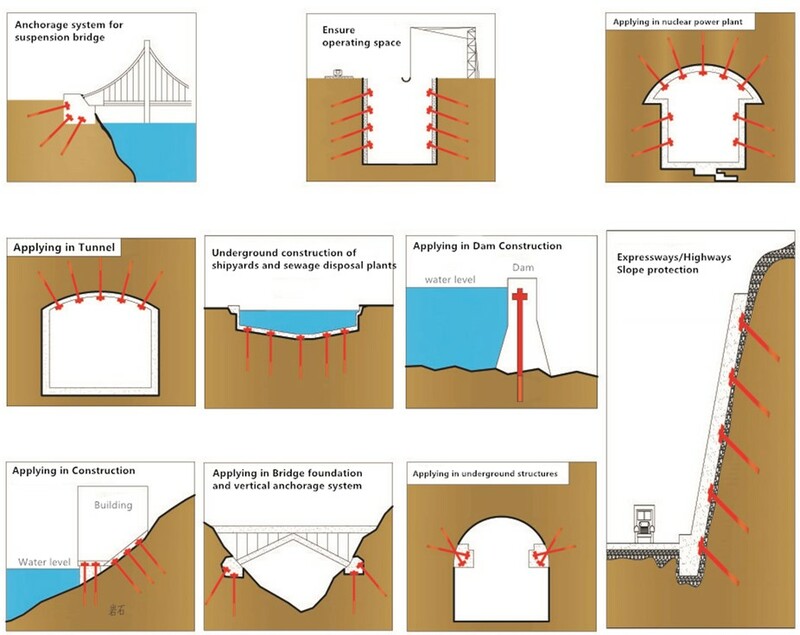 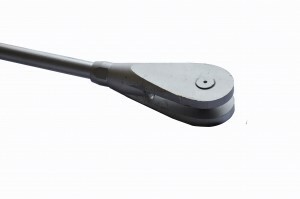 There are three major ways of anchoring the rock bolts: mechanical, grouted, and friction. 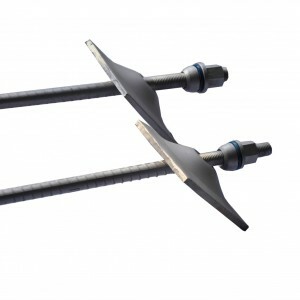 The most common grout-anchored rock bolt is the fully grouted rebar, a threaded bar made of steel. Cement or resin is used as the grouting agent. 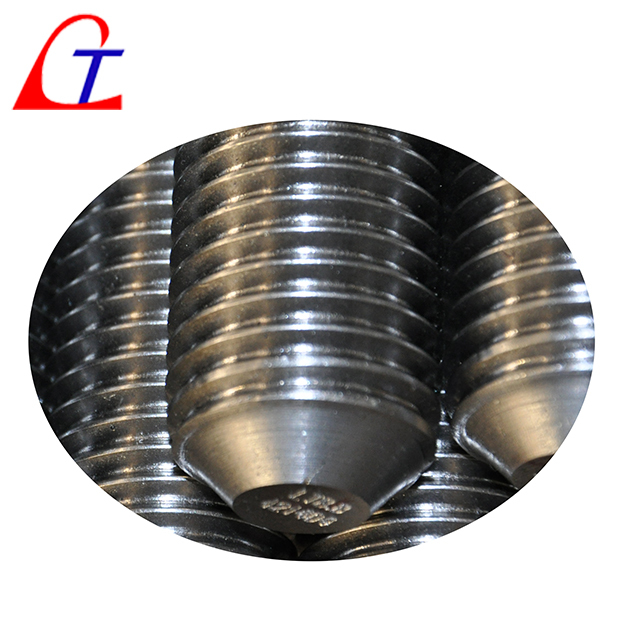 A cable bolt is a reinforcing element made of steel wires in the form of a strand or rope; it is installed in the borehole with cement grout. 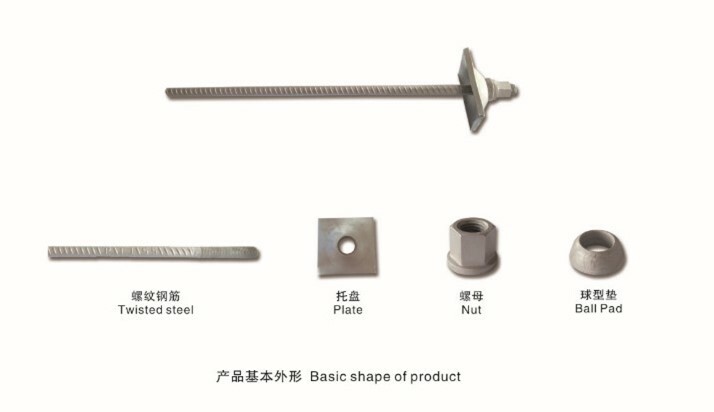 Super high duty, ultra high strength heat treatment rock bolt/ anchor bolt/ roof support system is an advanced steel products with prime quality and high performance, which can ensure the anchoring effect for complex ground conditions, such as sand and gravel to inconsistent fill, boulders, rubble and weathered rock. 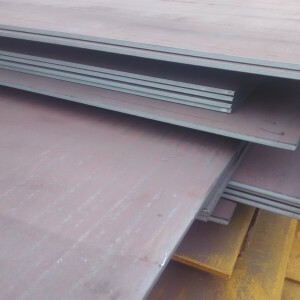 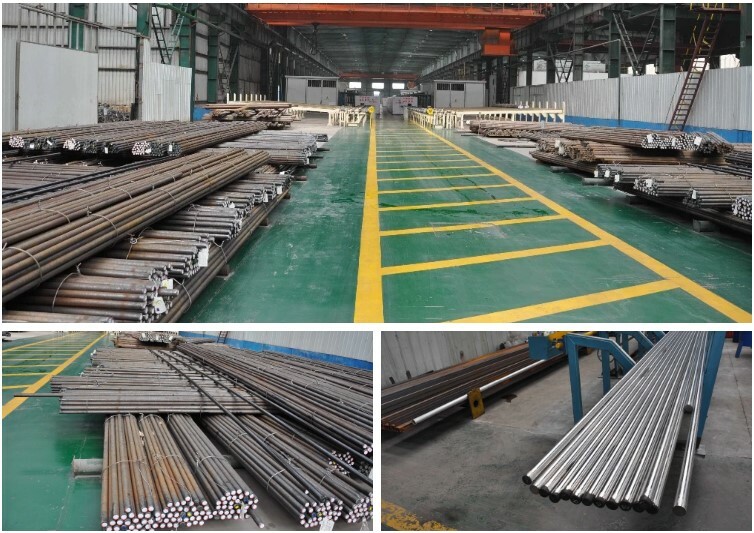 Raw materials are hot rolled steel rebars or deformed bars, using inductive heat treating technology （our patent）. 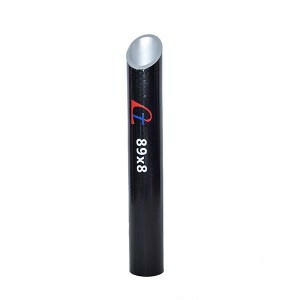 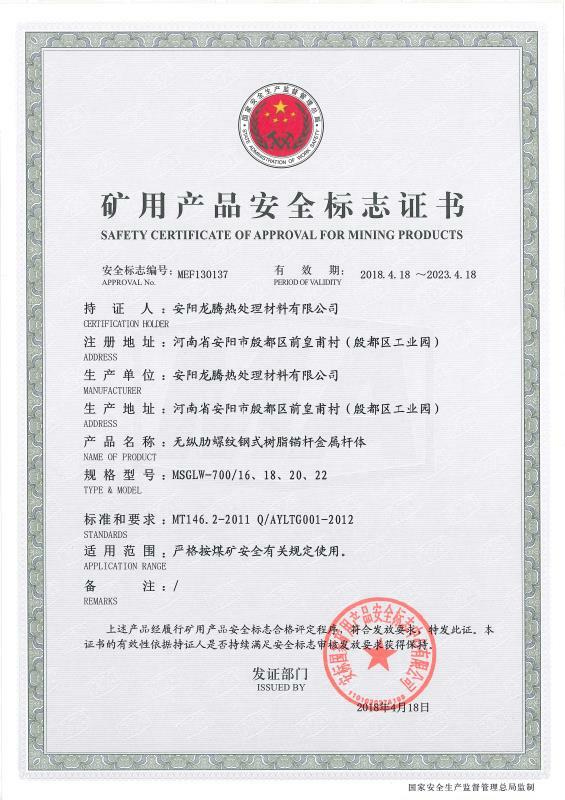 This product is widely used in tunneling, mining, slope stabilization and foundation support. 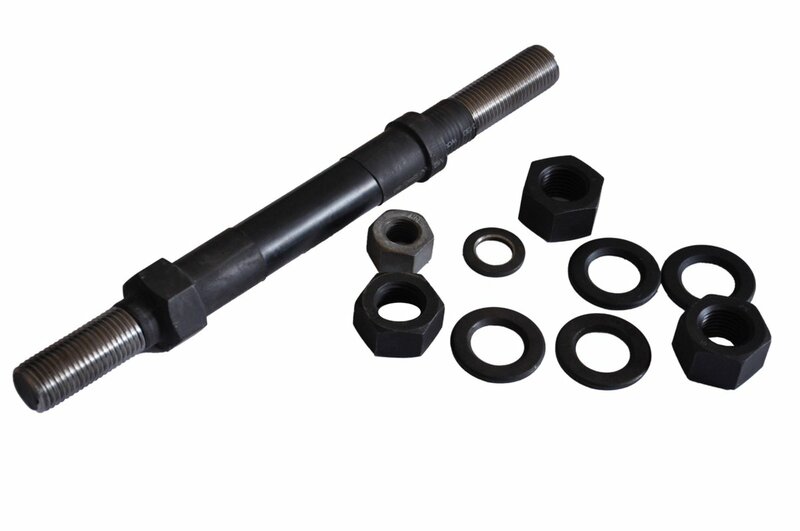 Our high duty high strength rock anchor bolt product have higher strength grade than normal hot-rolled rebars( for example, grade MG500,600,700,785,830 Mpa). This advantage of our product can decrease deformation of rocks, control or limit the breakage area in surrounding rock. It’s good anti-impact property can resist sudden impact pressure, which can ensure the security of mining operation. More information for our certificates, please refer to the ABOUT US page. Thank you!